Being able to make any image or link bring up the Olark chat box lets you highlight your live chat service anywhere on your site. As with all the examples below, we recommend enabling Invisible Olark so that your chat box is hidden until someone clicks the link. Note: You need to be on a paid account in order to enable Invisible Olark. If you send a message to your visitor, either as an agent or using the Greeter or Targeted Chat rules, the chat box will automatically appear and expand itself. Paste the code in to your website source, anywhere between the two body tags. Save your page and reload. Note: You can find the siteID for your account here. Place this code where you want your image to appear. The links to the images should be after online= and offline= in the src attribute. 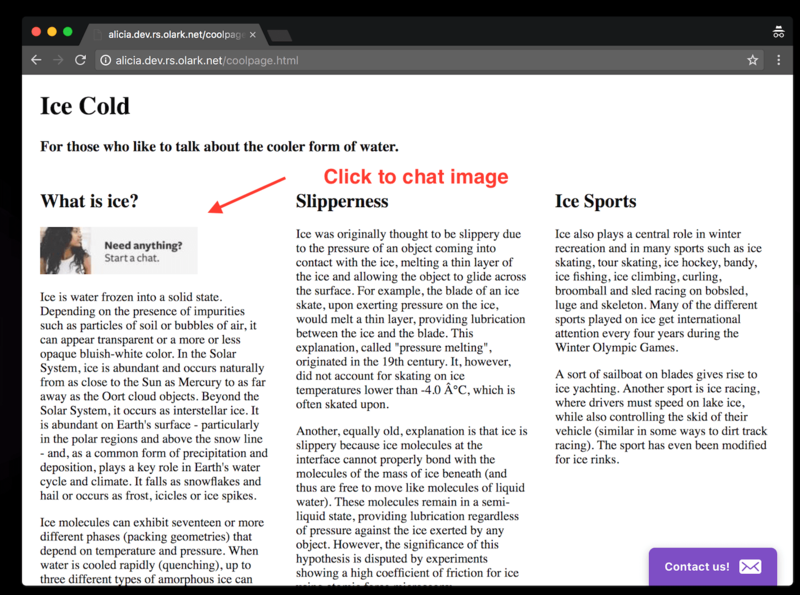 You can add a click-to-chat tab to the side of your page. Remember, you can use your own custom image or change the position by modifying this code. Copy the following HTML and CSS code. 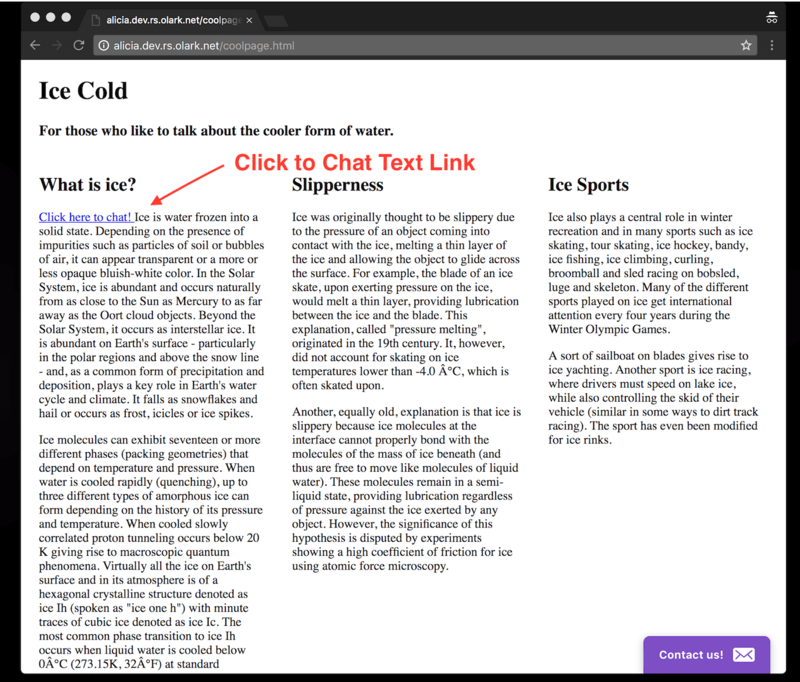 If you’d rather use a solution that doesn’t require any images, you can use CSS to position a click-to-chat tab on the side of your page. Note: This method uses CSS3 which may not work on older browsers. Save your page and reload. It should look something like this example.